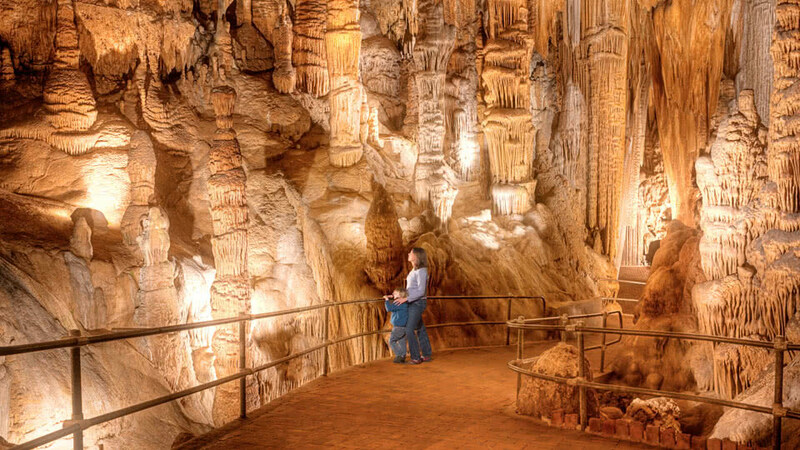 Luray Caverns is the largest and most popular caverns in Eastern America. Baseball has one. So does rock and roll. And after millions of years, geologists have one, too. Discover it for yourself. We are proud to offer guided tours along well-lighted, paved walkways that lead visitors through cathedral-sized rooms with ceilings 10-stories high, towering stone formations, and natural wonders at every turn. 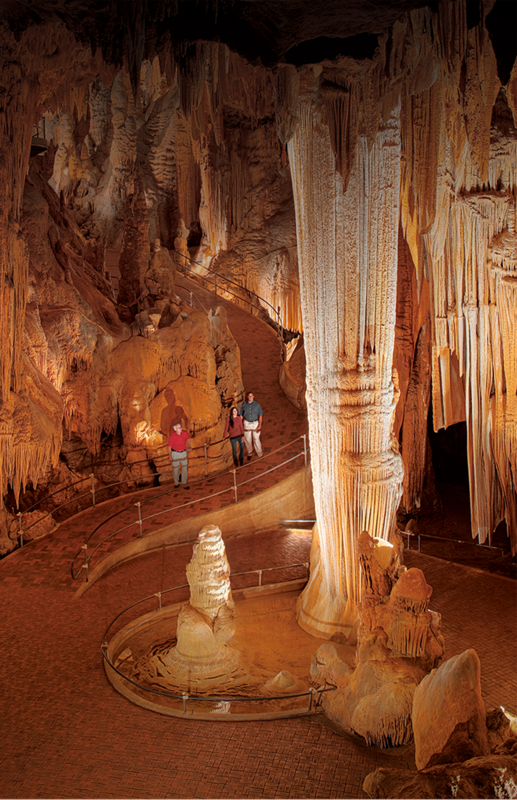 Come visit Luray Caverns and discover a world unto itself. Want a peek? 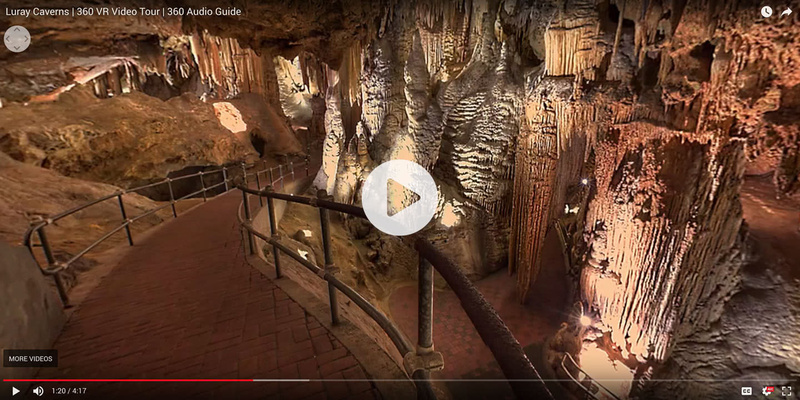 Take our 360 Video Tour or watch our watch our television ads. ARE YOU A GEOLOGY WHIZ? TEST YOUR KNOWLEDGE WITH OUR QUIZ. Enormous chambers are filled with towering stone columns, shimmering draperies and crystal-clear pools. The National Park Service and the Department of Interior designated it a Registered Natural Landmark. This is the largest body of water in the caverns. However, its deepest point is not more than 18 to 20 inches. This sparkling lake reflects a myriad of fantastic forms and creates a mirror image of the abundant stalactites hanging from the ceiling. 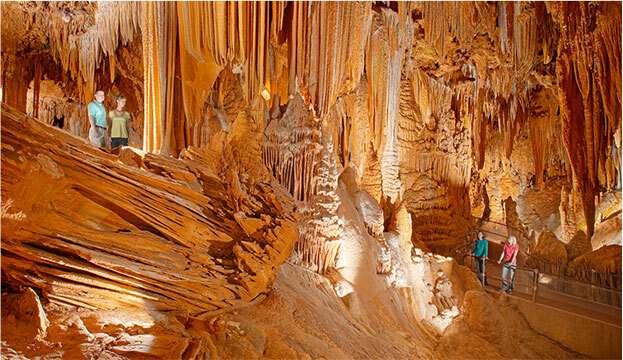 All formations in the caverns are calcite, a crystalline form of limestone. Calcite in its purest form is naturally white. Titania’s Veil is a pristine example of a calcite formation in its finest purity. 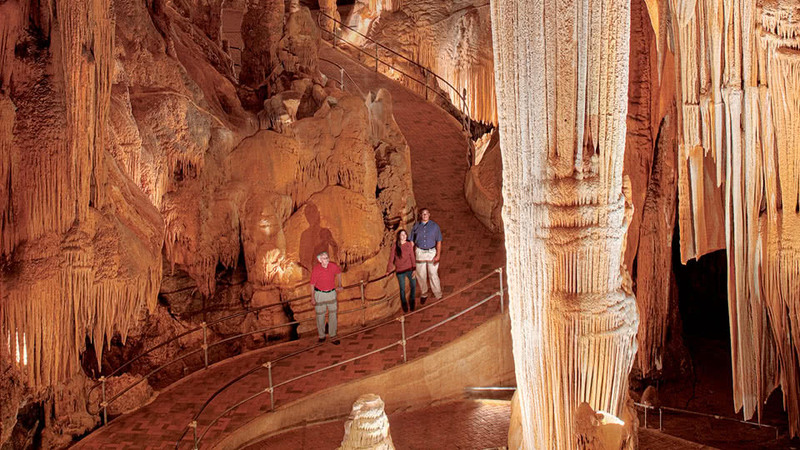 Dominating Giant’s Hall at a height of 47 feet, this column is the tallest and one of the most spectacular formations in the caverns. The Double Column is a classic example of the two basic cave formations the stalactite and stalagmite coming together as one massive wonder of nature. 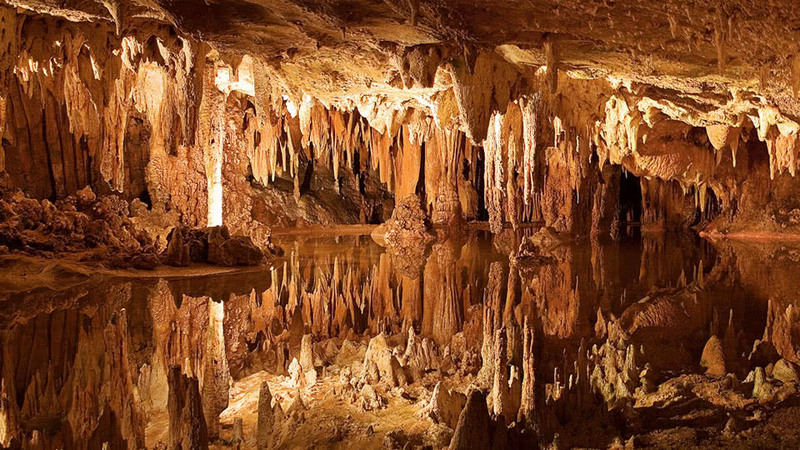 Can stalactites sound as unearthly as they look? They do at Luray Caverns. 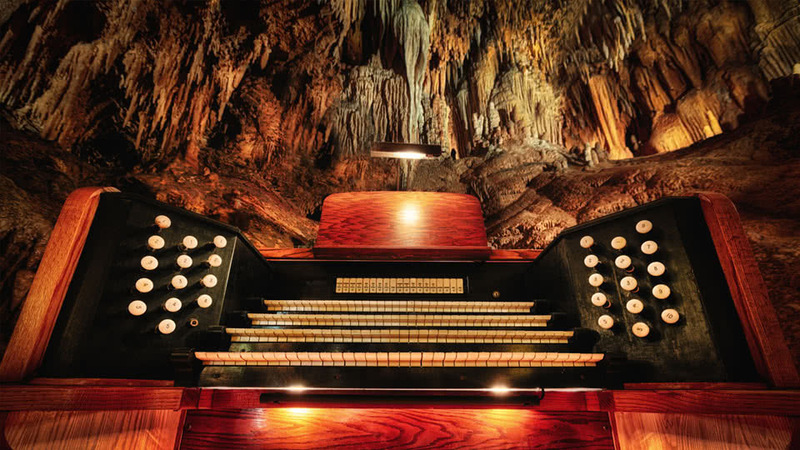 The Great Stalacpipe Organ is the world’s largest musical instrument. 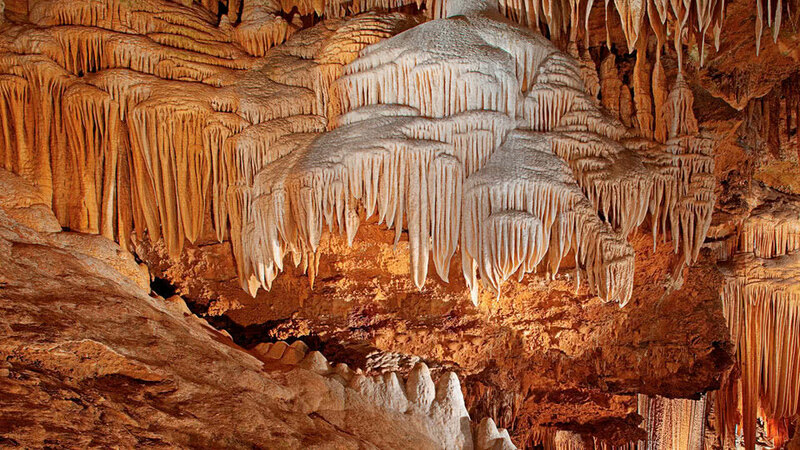 It literally makes stalactites sing by gently tapping them throughout three acres of the caverns. It’s a musical masterpiece that can’t be found anywhere else in the world … or under it.